From Belfast comes the news that WordCamp has sold out*! As a sponsors, we’re delighted, and we’re looking forward to taking part in the event over the weekend. (*There is a handful of places still available at the free Contributor Event on Friday afternoon). As Abha Thakor explained in our podcast earlier this week, WordCamp Belfast has the privilege of marking the 15th anniversary of WordPress. It’s come a long way: almost one in three websites now runs on WordPress. Blacknight has grown up alongside WordPress: we’ve got a lot of history. We’ve taken the opportunity to reminisce a little and reflect in our latest press release. On 27 May 2003, software developer Matt Mullenweg launched the first version of a computer programme which went on to revolutionise publishing. 15 years later, WordPress is the engine behind 30% of the world’s websites, powering major media and ecommerce sites, as well as small blogs – the personal projects that inspired its creation. 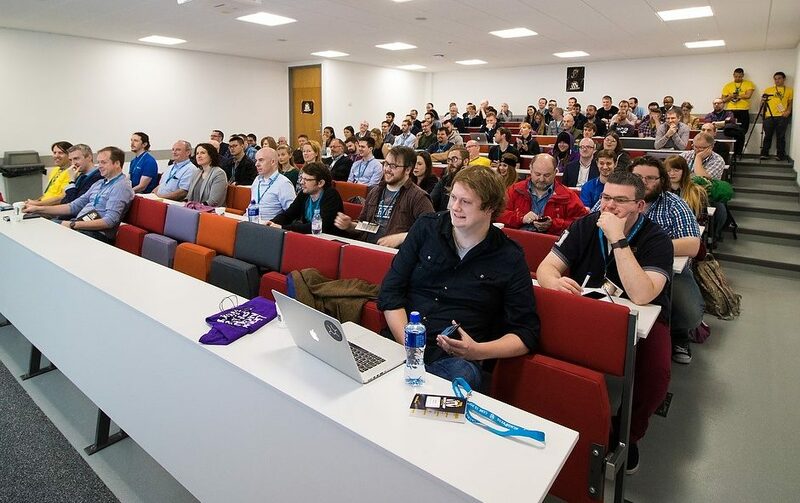 This weekend will see WordPress commemorated at WordCamp Belfast – a volunteer run-event that is one of thousands of meetups held around the globe, run by and for the international WordPress community. And after fifteen years, it’s still very much a community project: open-source, free to all, maintained and developed by volunteers. No one company ‘owns’ the WordPress software in the way, for example, that Microsoft Office or Apple’s iOS are licensed and sold. Instead, WordPress is licensed under the GNU General Public License, which requires that it be free for anyone to copy, distribute or modify the software. That’s part of its success, of course. Free to download and easy to install, WordPress was built to run with other open-source tools, on what is known as the LAMP stack: Linux (operating aystem), Apache (web server), MySQL (database), and PHP (programming language). All of this software is free to copy and install and has gone on to dominate the web world for similar reasons. (Almost half of all web servers run on Apache). To that essential package of free website software, WordPress added a killer application: a content management system (CMS). Web pages are made of text, pictures, and increasingly, audio and video. When Tim Berners-Lee invented the World Wide Web, its essential feature was Hypertext Markup Language (HTML): a collection of text ‘tags’ which tell a web browser how to arrange and display the different pieces of the page: how to format text; where to put the images; where the links should be – and what they should link to. HTML isn’t difficult – most people can learn to hand-code a basic web page in under an hour. But it’s tedious and repetitive – even with the visual editors and integrated development environments which soon came along to lighten the load. And as web pages got richer and more elaborate, it became obvious that there was a need to separate the code from the content. The growth of blogging ushered in an era of self-publishing, and the first stirrings of social media that became known as Web 2.0. Sites like LiveJournal, MySpace and Bebo let users type their thoughts and click publish. But, though free, they remained proprietary, like Facebook is today. For those who wanted complete control: to publish and easily maintain a website, on their own hosting and domain name, WordPress completed the picture. Michele Neylon, CEO of Ireland’s leading web hosting company, Blacknight, recalls the steady migration of websites from platforms like Blogspot (Blogger) to self-hosted WordPress in the early days. “The initial movement came from bloggers who had outgrown those services and wanted more freedom to develop their sites. But we soon saw small businesses and website developers turn to WordPress also, not just because it was free, but because it was powerful and flexible as well”. The familiar WordPress dashboard was easy to master and teach, so that relatively non-technical people could control their own content and keep their websites up to date. But the back-end familiarity didn’t come at the price of forcing everyone to be the same. From its earliest days WordPress was designed for extensibility. A proliferation of independently developed themes and plugins brought support for a variety of types of website. WordPress became more than an application: it is a platform for any type of web application you can imagine. Not all open-source projects are a success, of course, but the growth of WordPress suggests a careful stewardship of the project amid the sometimes competing interests of the various users, developers, businesses and other stakeholders. And while WordPress itself is an unqualified success, what of its founder and his company? Automattic, the company founded by Matt Mullenweg, has invested millions of dollars worth of development effort into WordPress over the years – a product which it does not own, and which is given away freely. So how does that work? At the heart of the open-source idea is that the code is community property. So, while it is true that one contributor may not exclusively reserve the benefits of his or her work, it is a corollary that all the contributors benefit from everyone’s contribution. Open-source software, in particular, is often considered to be of a higher quality than proprietary code, simply because it is open to scrutiny by a much greater number of ‘eyeballs’. In a world of spyware and security concerns, open-source has come to stand for trustworthiness and reliability. When anyone can view the source code in which a programme is written (and compile it themselves if they’re especially paranoid! ), it becomes impossible to deliberately insert a back-door. And a global army of volunteers keeps vigil for vulnerabilities, which are quickly patched. Successful open-source companies like Automattic don’t charge for their code – but they can and do make money from their expertise. While WordPress.org is the home of the open-source project, WordPress.com is Automattic’s revenue source: a hosting platform which uses essentially the same open-source code to run millions of websites; from small blogs hosted for free, to large commercial media sites like Time and Fortune, and everything in between. And it has branched out into related areas, such as the new .BLOG domain name which is run by a subsidiary company. WordPress.com is now the sixth largest web platform in terms of traffic with 141 million unique visitors per month, and Automattic was valued at $1.16 billion in 2014. Yet it has just 720 employees, most of whom work from their homes, spread across 50 countries around the world. One of those is Corkman Donncha Ó Caoimh – in fact he was the first person hired by Mullenweg. Like many open-source developers, he got involved to scratch a personal itch. 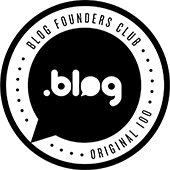 Looking for blogging software for members of the Irish Linux Users Group in 2003, he made a fork of the original open-source codebase which was also used by Mullenweg and Mike Little to create WordPress (a project called b2). Ó Caoimh’s code was maintained as a separate project called WordPress MU (multi-user), until it was re-merged into the main codebase with WordPress Version 3.0 in 2010. WordPress users and contributors around the world will celebrate the anniversary this weekend with numerous meetups as well as online events. However, while there are more than 200 WordCamp conferences held each year, only the Belfast one coincides with the actual anniversary itself on Sunday. It’s sold out: 150 people are expected to attend the two-day event at the Peter Froggatt Centre in Queen’s University, and the organisers are inviting others to participate by submitting ‘video selfies’ – messages of friendship from across the world. WordCamp Belfast is supported by sponsors including Blacknight. Michele Neylon says it’s a very positive experience for the company, which also sponsored WordCamp Dublin last year. “WordCamp attendees have that open-source, DIY attitude”, he says. “They’re makers and creators: they don’t sit around waiting for things to happen. They make them happen! We love the engagement we get with our customers at these kind of events”. Tickets for WordCamp Belfast are sold out, but there is a handful of places still available for those interested in becoming WordPress contributors, at the free Contributor Event on Friday afternoon at the Farset Labs in the city. For more information visit 2018.belfast.wordcamp.org. Just in Case you Missed the Hundreds of Emails – GDPR is Here!